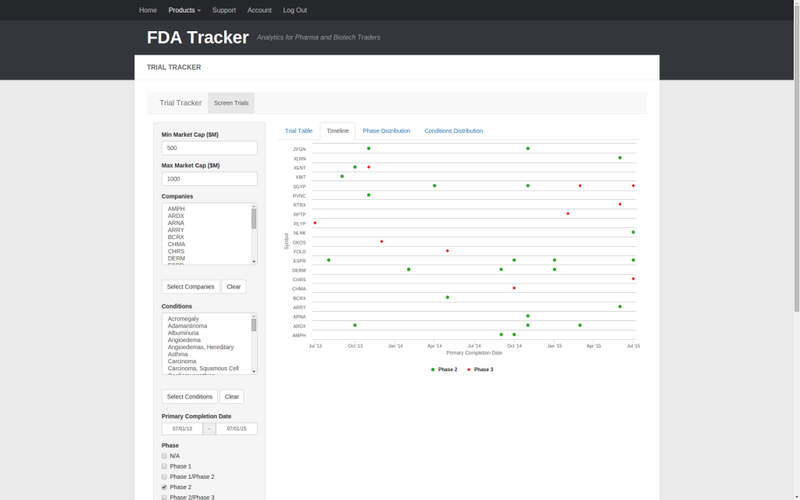 Trial Tracker is an intuitive tool that helps you investigate companies facing upcoming clinical trial catalysts. Companies can be screened by market cap and stock symbol; trials can be screened by condition, completion date, and phase. The interface initially shows a summary table that lists all trials matching the default selection criteria. 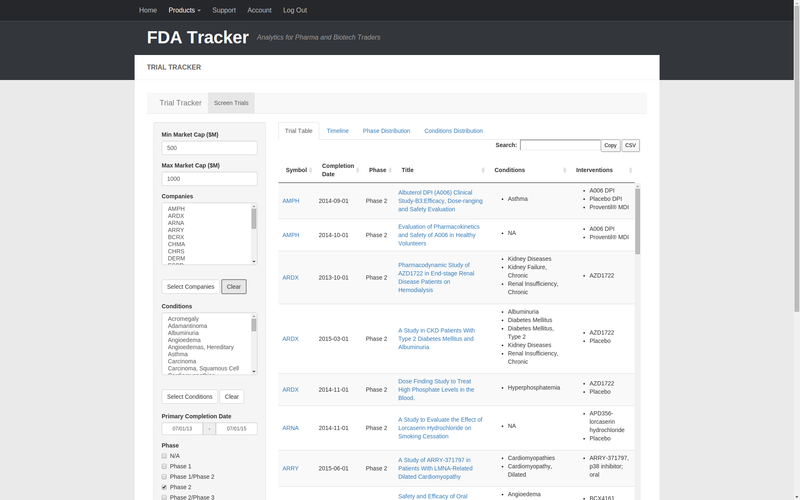 It includes links to Yahoo Finance for each stock symbol and links to clinicaltrials.gov for each trial name. The results are searchable and filterable by keyword. Let’s leave the market cap criteria alone and instead select a subset of companies by ctrl-clicking from the list of stock symbols. 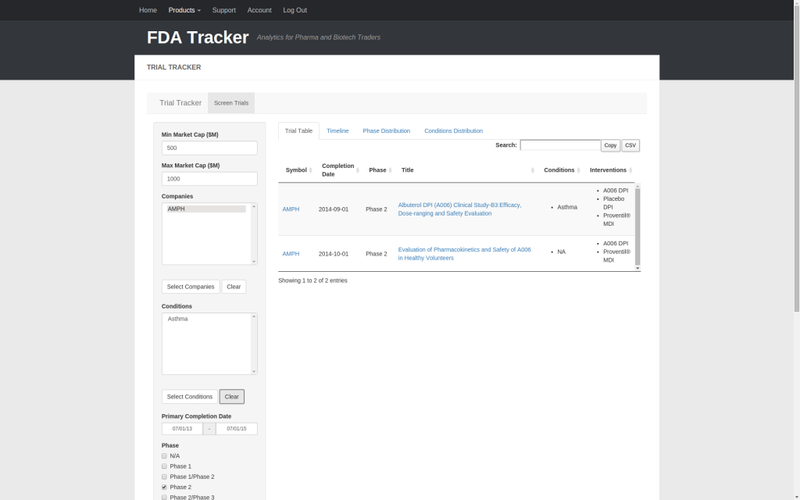 Pressing the “select companies” button updates the timeline to show the subsetted trials. We can filter the trials further by selecting an individual condition. Selecting “Asthma” and clicking the “select conditions” button reduces the selection to one company, AMPH, running one asthma trial. Pressing the “clear selection” button under the conditions selection area clears the conditions. AMPH remains selected as a result of the previous screening step, so now all AMPH trials are shown. Clearing the selection for companies returns resets to all companies matching the selection criteria. Note that companies and conditions work in tandem; selecting on one will always select on the another. Therefore, both must be cleared to return to the default selection. 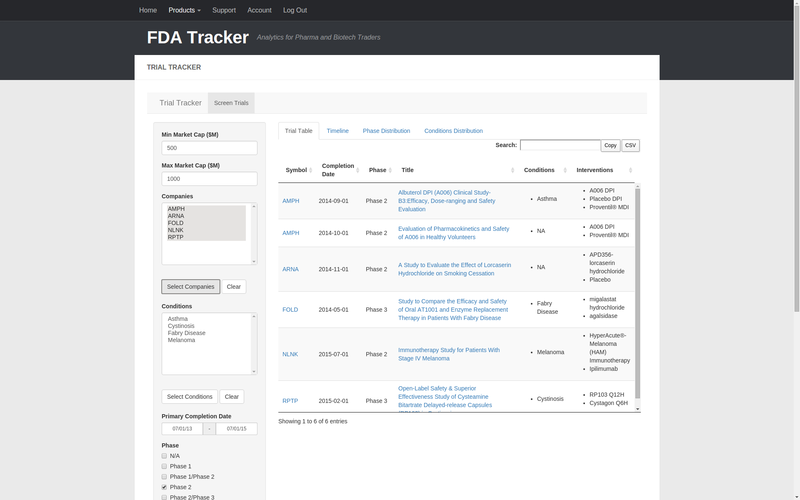 The timeline tab shows the timeline of trials for each company. 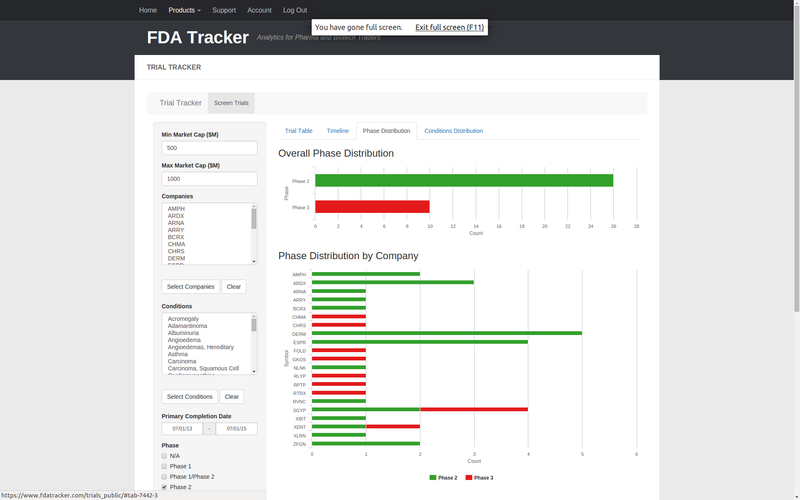 The phase distribution tab shows the distribution of trials by phase and company. The conditions distribution tab summarizes the conditions being targeted by different companies. 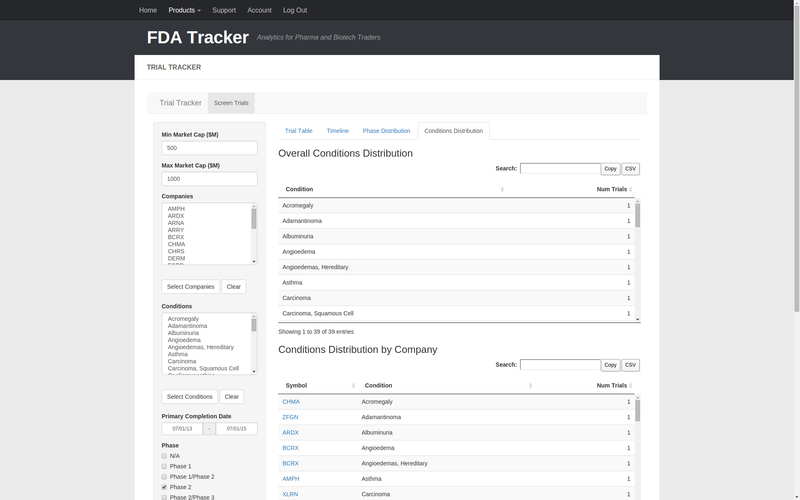 In short, trial tracker provides a fast way to compare drug development pipelines and determine which companies face upcoming clinical catalysts.